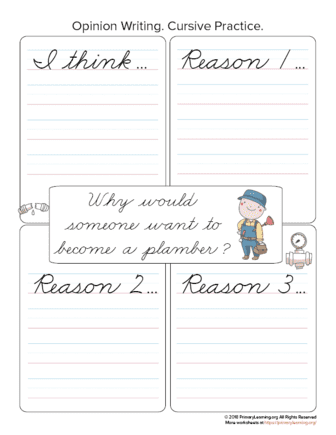 Why would someone want to become a plumber? In this worksheet, kids write a paragraph, state their opinion on the topic, and provide a few reasons to support their thoughts. 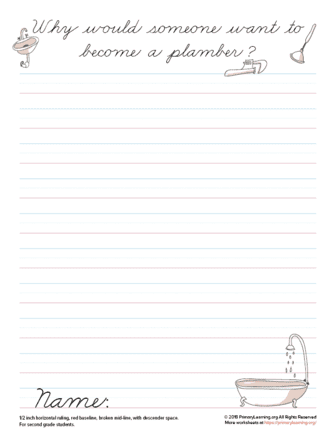 This worksheet is designed to practice cursive handwriting (Zaner-Bloser Style).